One of the toughest things about buying a piece of furniture is considering the future: Will the piece still look good if I move homes? Will it still work if I want to change out other furniture in the room? Will I even like this thing in five years? This is why we find so much value in the classics, especially when it comes to midcentury design. Think about it: Has there ever been a time since, say, the '90s, when you've regretted adding a midcentury piece to your home? Nerp. So we immediately thought of Joybird with its ample offering of midcentury-esque pieces at affordable prices. And yep, we immediately found a sense of perfection in Joybird's Soto chair. We love the classic gray (in Taylor Felt), but the great thing about this model is the variety of colors. Want something that feels even a bit more Scandinavian? Try one of the turquoise or teal fabrics. To cozy up a library or reading corner, the rich Key Largo Ruby would look great. Or, if your living room needs a little retro pop, we vote for the bright-yellow Bentley Daisey. 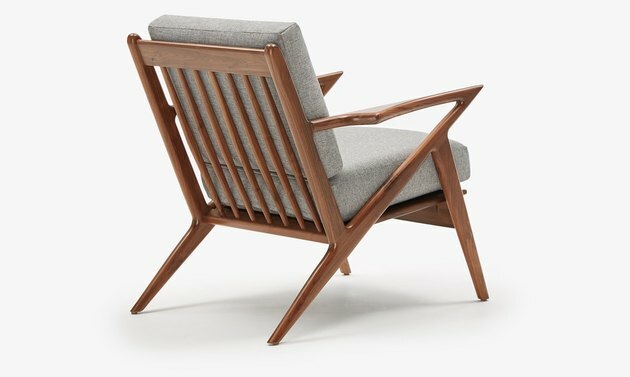 Best of all, the Soto chair is currently on sale, starting at $664. Hunker readers can take advantage of 30 percent off through 2/26 using code Hunker30.